Childrens Bed Centres make setting up kids bedroom furniture child’s play by taking the hassle of DIY away from children's beds and bedroom furniture. A Childrens Bed Centres spokesperson explained, "As each item of children's bedroom furniture from CBC is made to order here in the UK and is put together during the manufacturing process, it means that we can ensure high standards and make sure that our customers have the best quality bedroom furniture at competitive prices. It also means that busy parents don’t have to find the time to construct children’s chests of drawers and bedside cabinets etc. when they come home from work or at the weekend when they want to enjoy time with their kids. They don't have to be experts with a tool kit either!" CBC Children’s wardrobes are also delivered ready assembled unless parents believe they might not fit up a small or awkward staircase. In these cases Childrens Bed Centres offer kids wardrobes which can be assembled at a customer’s house by their trained staff. Childrens Bed Centres design, manufacture and deliver all types of children's beds, and so parents will easily be able to find the right bed to meet their children's needs. From toddlers to teenagers, there are plenty of styles of beds to choose from. Children may want a tent bed, which offers an area to play underneath, or perhaps a kids cabin bed, which incorporates the practicality of storage with the excitement of using a ladder to get into bed. Instead of getting a flat-pack bed, and then having to build it, the Childrens Bed Centres complimentary assembly service means that the bed will be assembled for you on arrival. There will be no need to hunt for a tool kit, worry about missing parts, getting furniture put together before bedtime, or who will keep the kids entertained whilst their bed is being put together. This high level of service also ensures that children's beds are correctly and safely assembled for your piece of mind. As well as the beds themselves, parents will find a wide range of mattresses, safety wings, safety panels and ladders to go with the beds, to provide a comfy and safe night’s sleep, all of which are added/assembled by the CBC delivery team on arriving at a customer’s house. Kids bedroom furnishings such as bedding, curtains, cushions and much, much more, can be found on the Childrens Bed Centres website, so that everything can be purchased from one place and at the same time, without having to worry about whether it will look right, or fit in with the overall décor of the room. Offering fantastic value for money, and a no-hassle service, it’s easy to see why Childrens Bed Centres kids beds and bedroom furniture is so popular. 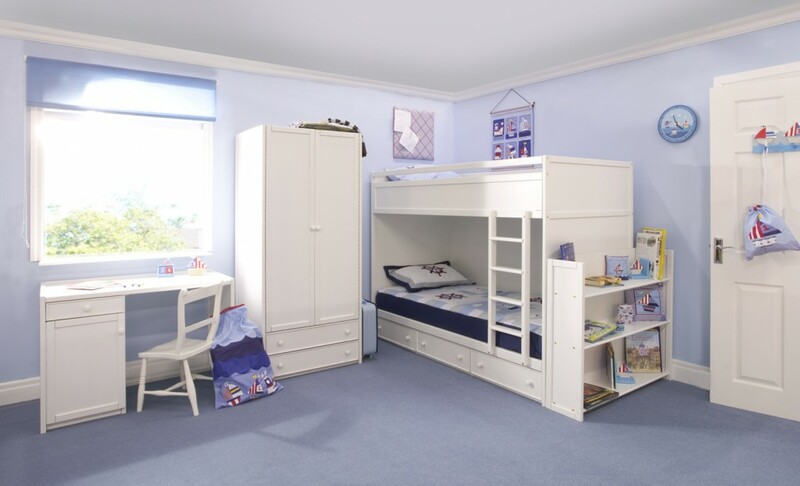 All Childrens Bed Centres kids beds come with complimentary assembly and all kids bedroom furniture comes pre-assembled, to remove the hassle of DIY for parents and ensure children sleep in a correctly and safely assembled bed. Find out more by visiting http://www.childrens-bed-centre.co.uk/ or by calling 0844 800 7772 or 01244 379747 today.